The 510 cartomizers can be refilled using our eLiquid. 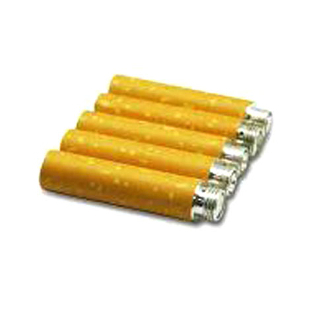 Each case contains 5 blank refillable Cartomizers. Each Cartomizer (Heating Element) can last for one - two full days. Once the cartomizer flavor has changed and the vapor amount is low, its time to refill your cartomizer. To refill the cartomizer remove the white top and drip 6-8 drops of e-liquid while turning the cartomizer.